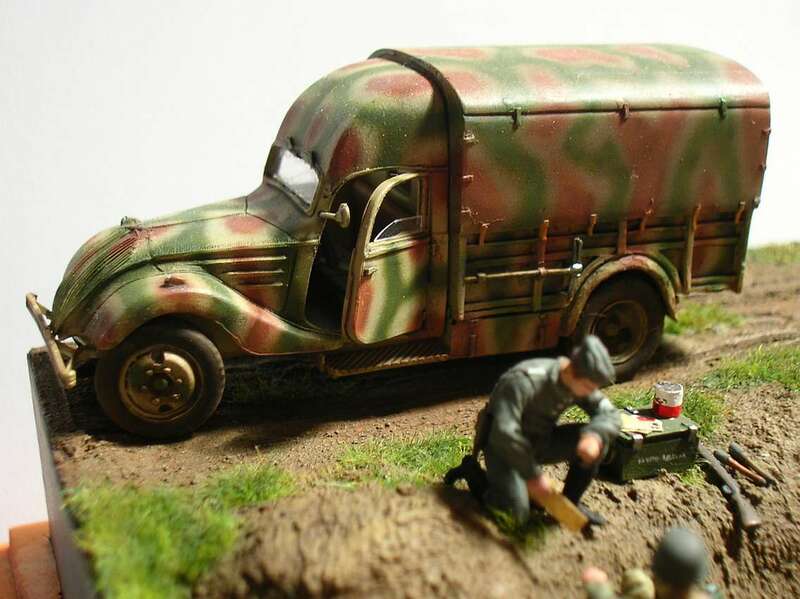 Diorama 1 - "Peugeot DK5j"
The model is from Alby and assembled OOB (a little jewel... no more word needed) Diorama is made with polystirene and polyfilla, boxes and accessories are commercial kits from Goffy model, mortar is from a Preiser set, and the field telephone is scratch-built with evergreen strips. 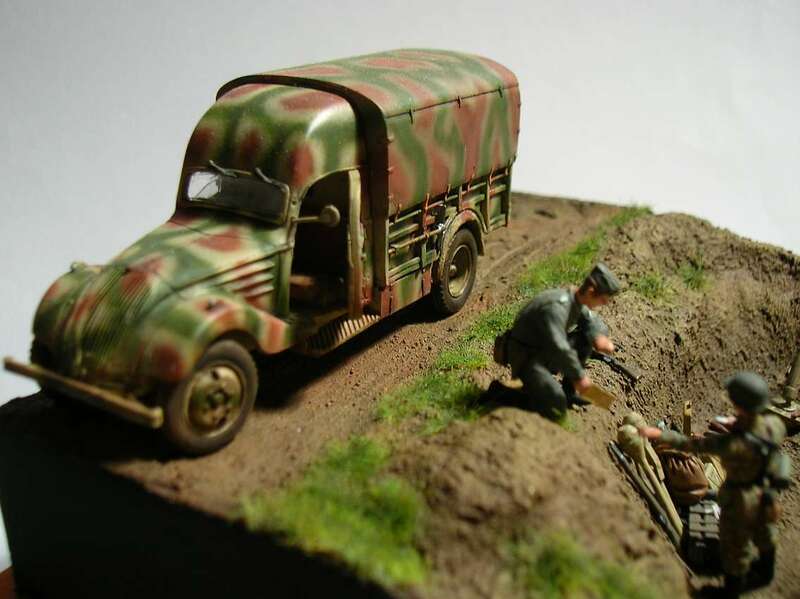 Figures are from Preiser range, with some modifications. 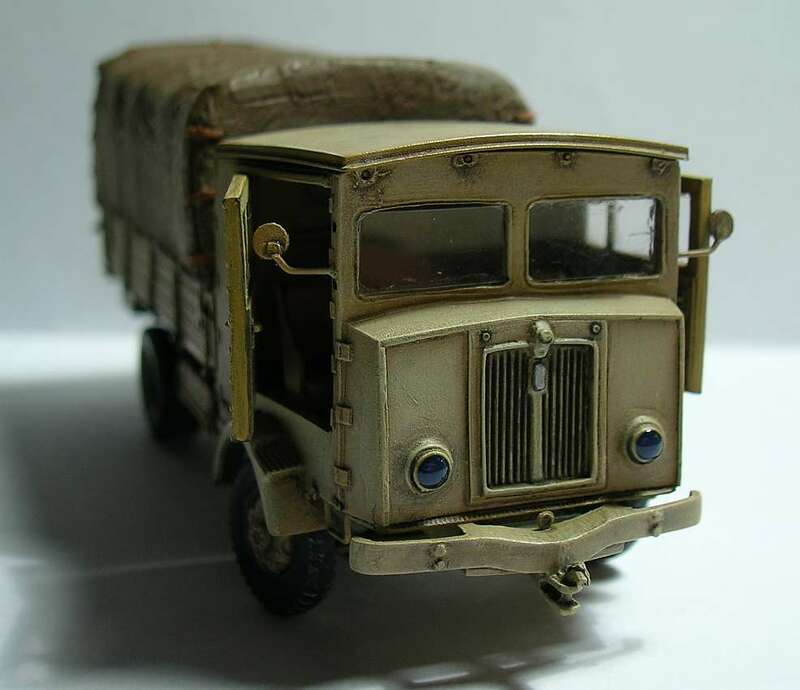 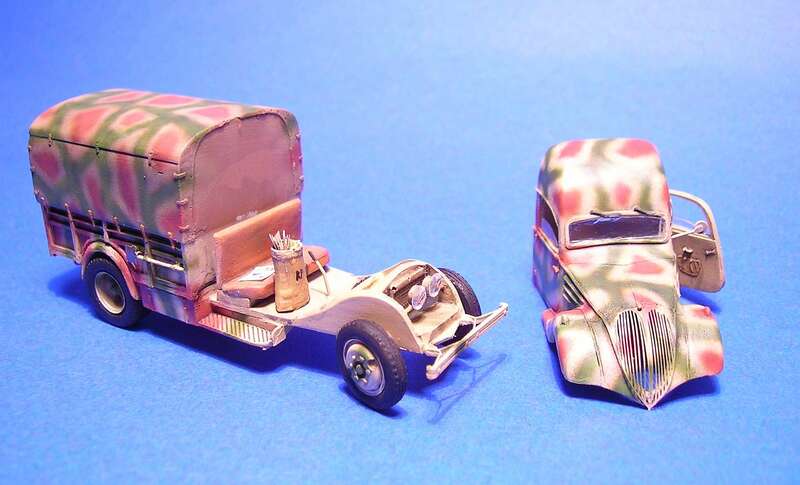 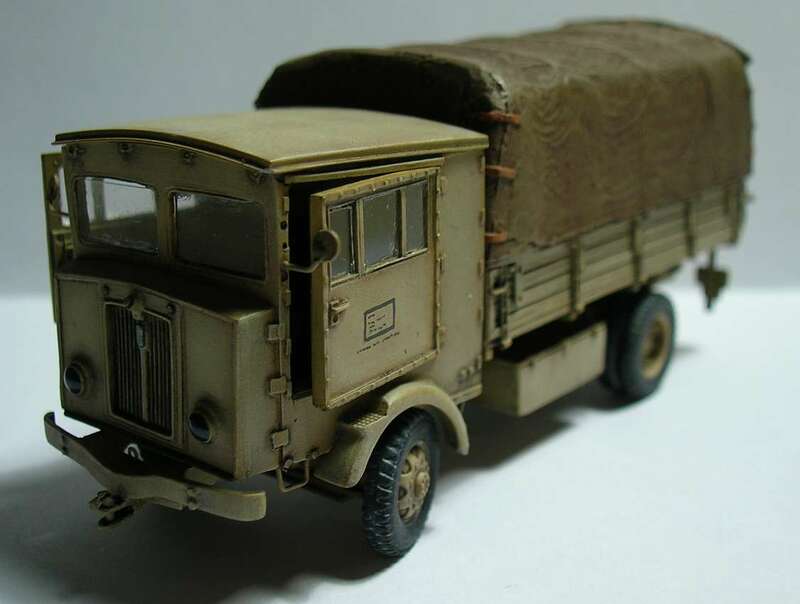 Diorama 2 - "Fiat 628 truck in German Service"
The Fiat 628 truck, built by Fiat for German Army in a very few number (possible only one) This is a Fiat 626 version, with Einheits cab made of wood and some parts from Opel blitz. 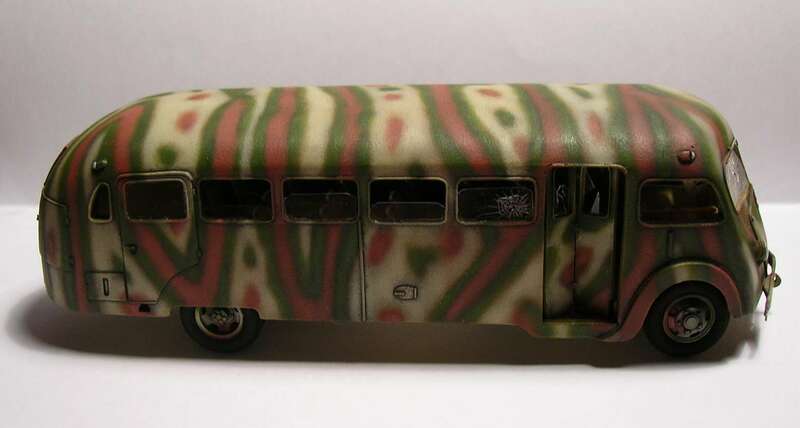 The Fiat 628 is painted as the only photo of this vehicle, taken in Fiat Works, at Torino, in 1945. 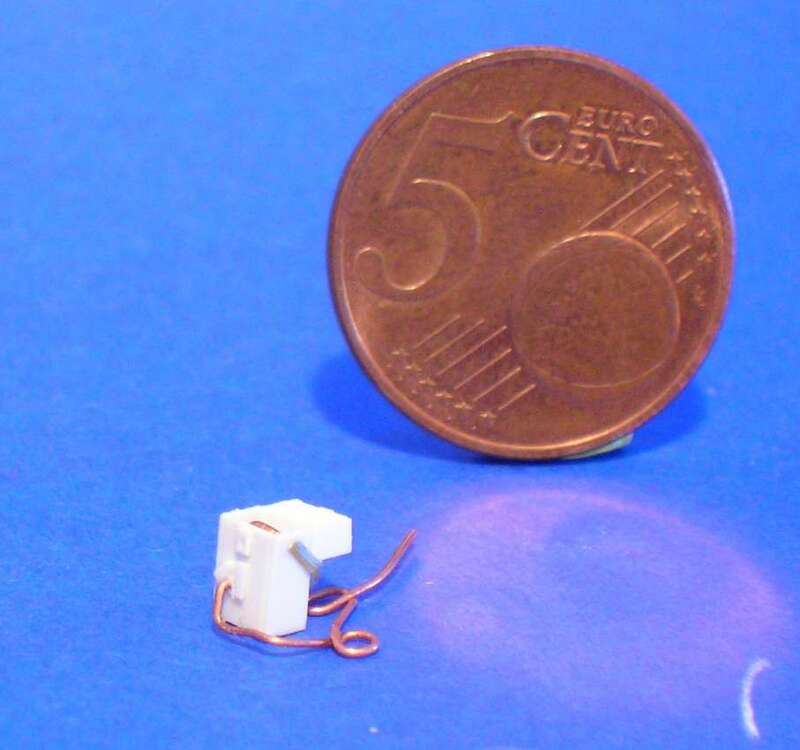 The blue lights (to conceal the light) is realised with two component glue with a few of blue (humbrol). 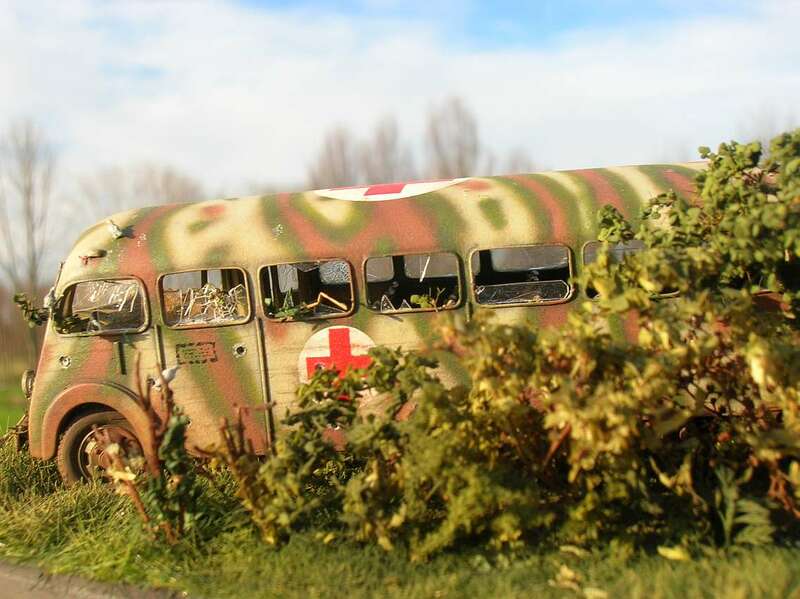 The kit is from Italian kits, well casted (it seem in plastic) and easy to assembly. 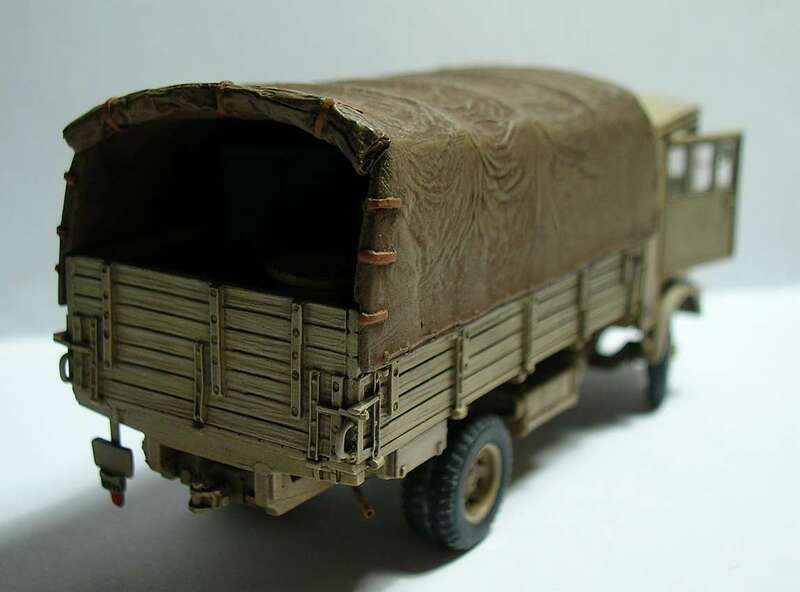 Only minor details are refined or re-made with the help of evergreen strips and brass. 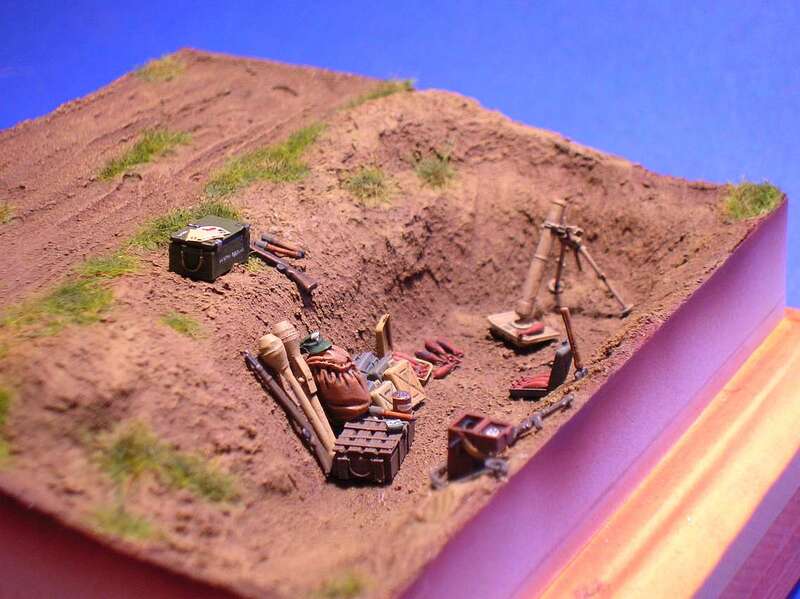 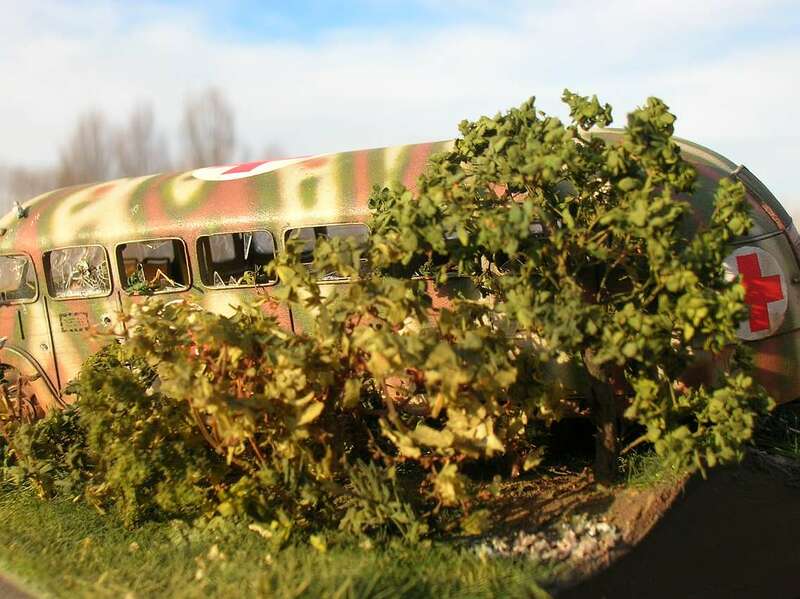 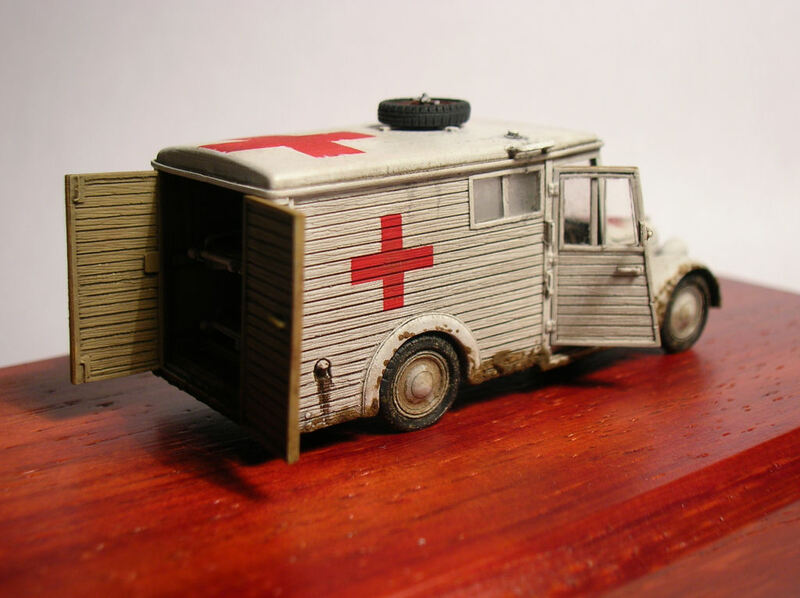 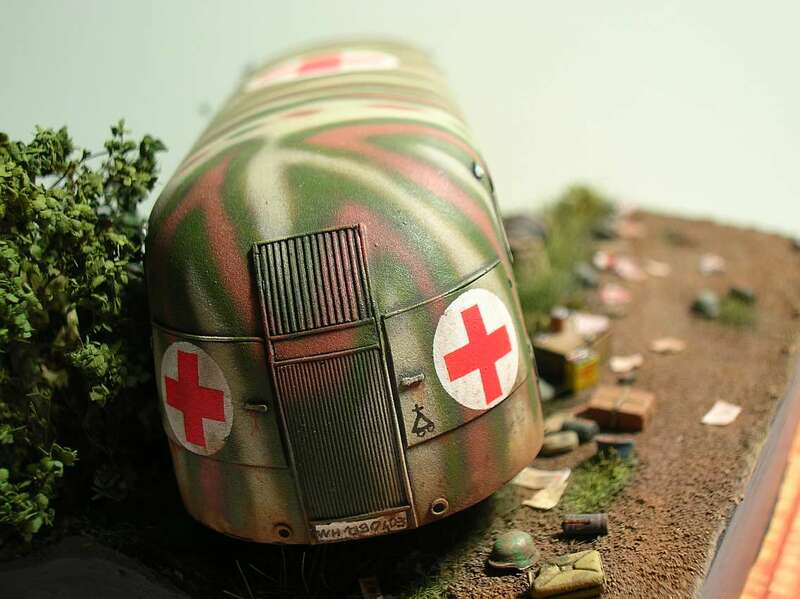 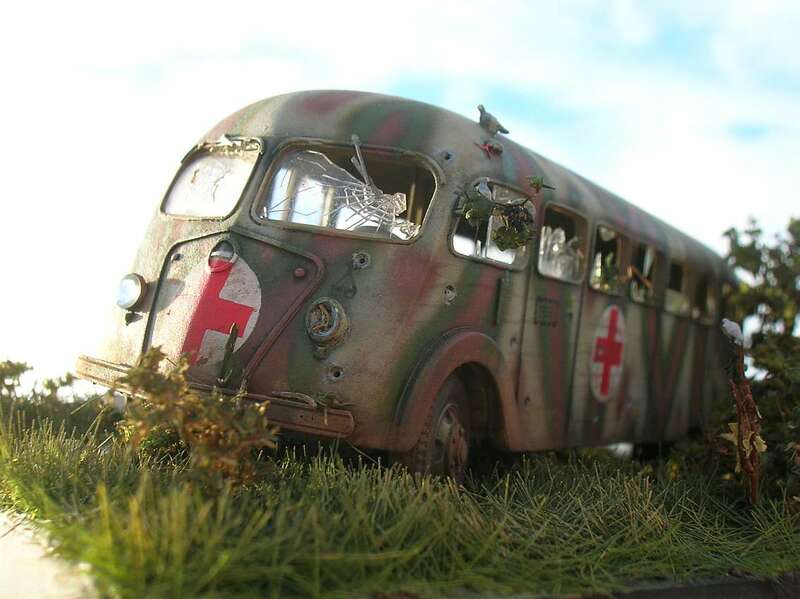 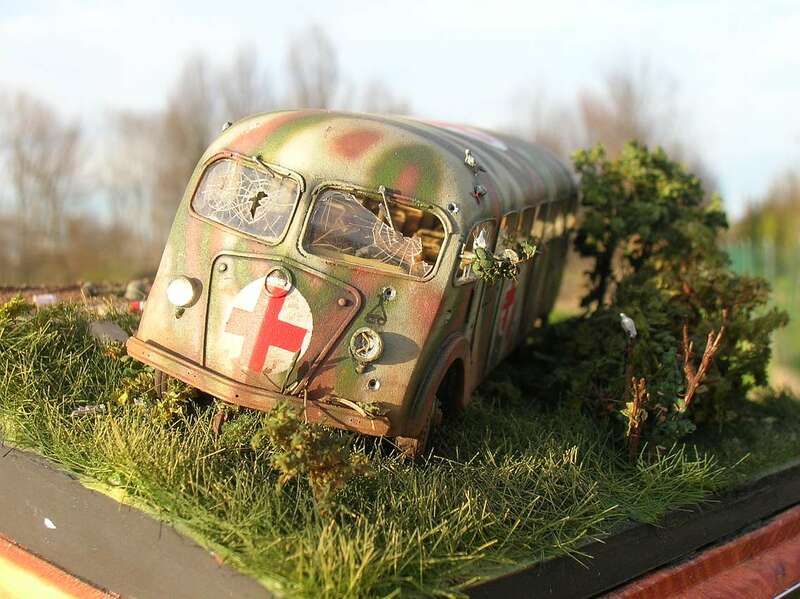 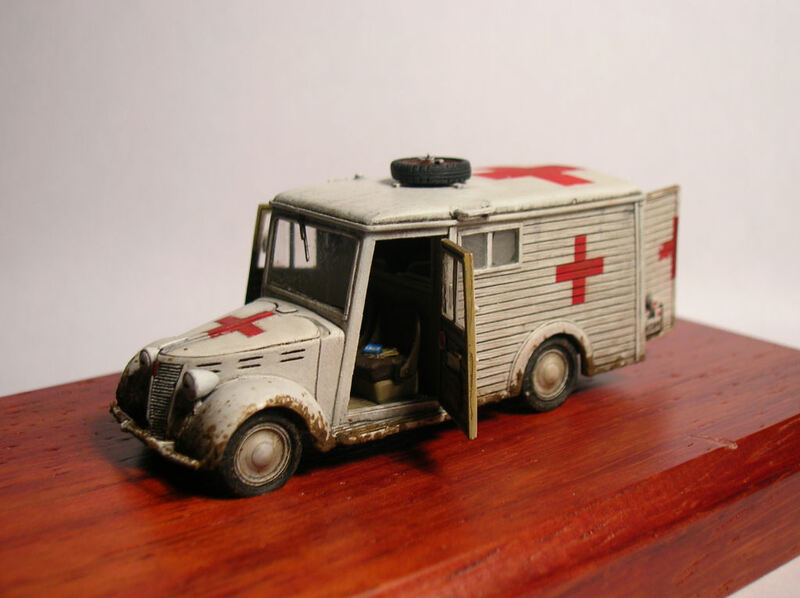 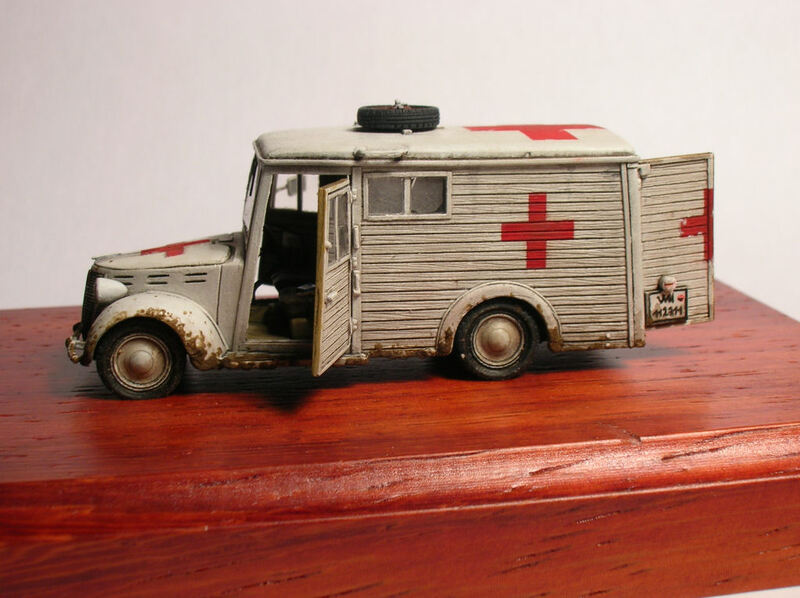 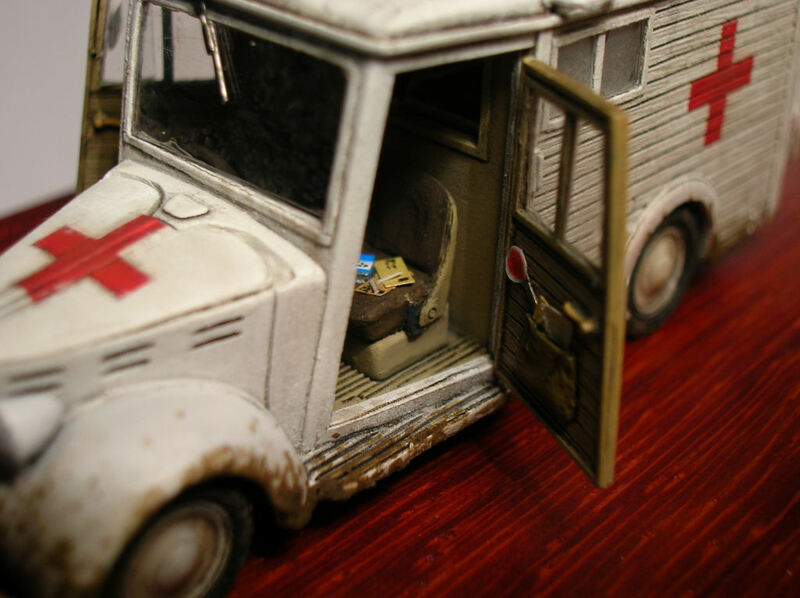 Diorama 3 - "Isobloc W240"
The model represent a "mobile wounded station" abandoned in Normandy, in june 1944. 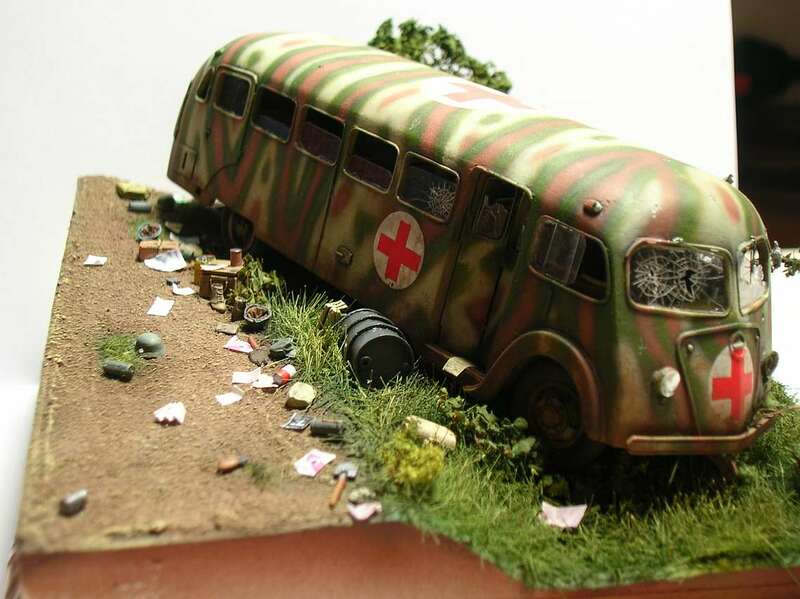 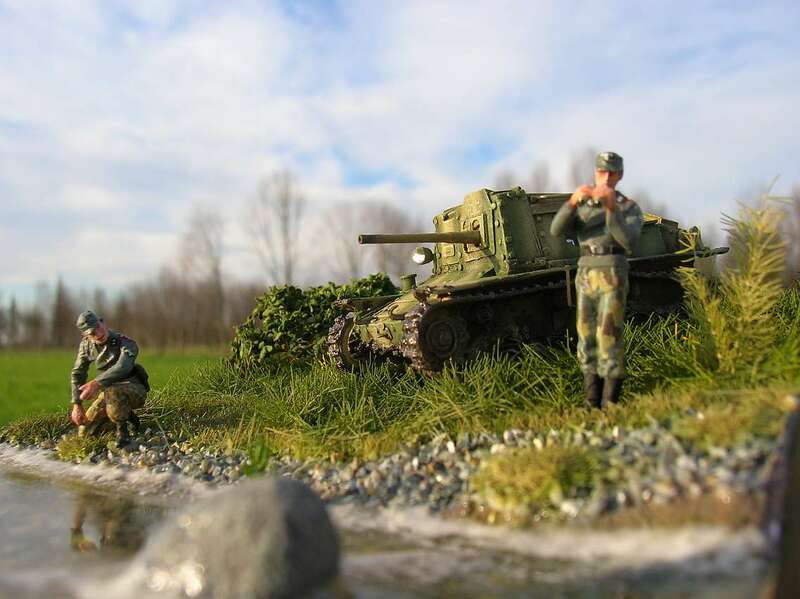 It is in service with the 21th Panzer Division. 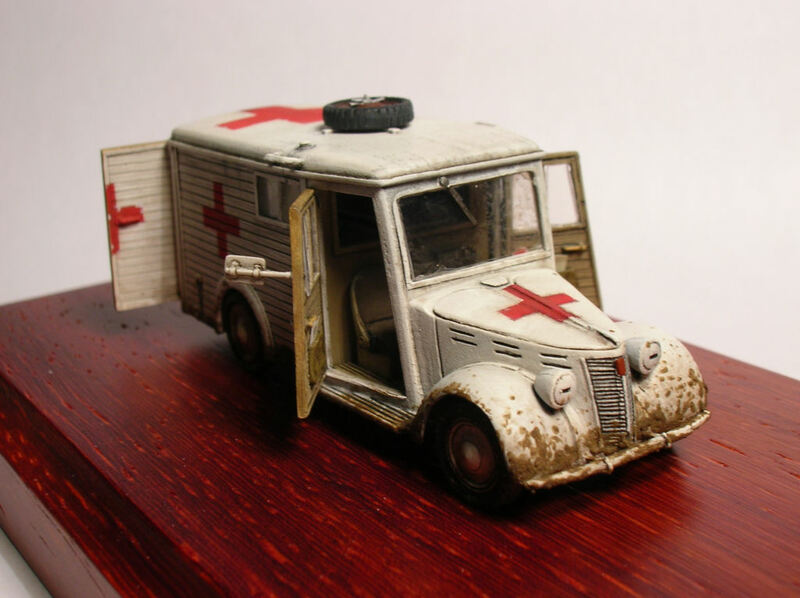 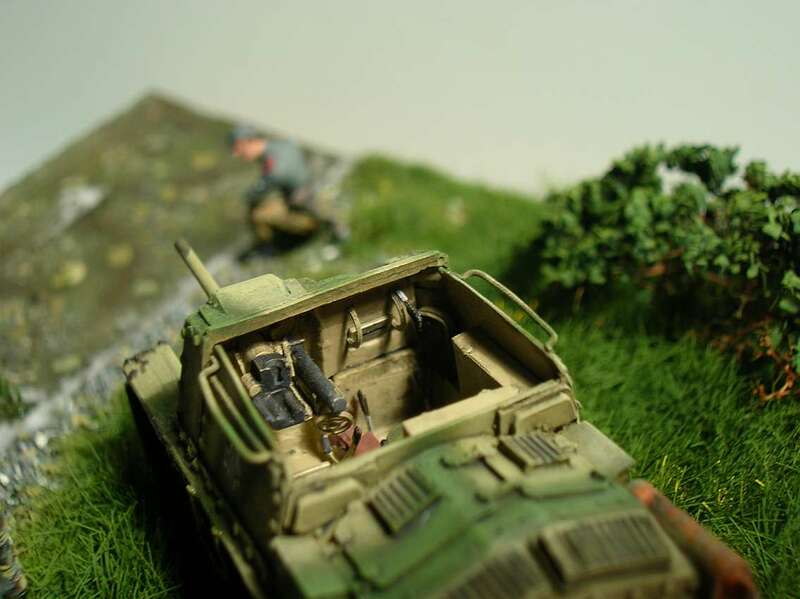 Diorama 4 - "Citroen type 45"
The Citroen typ 45, is used by WH in great number after the fall of France in 1940. 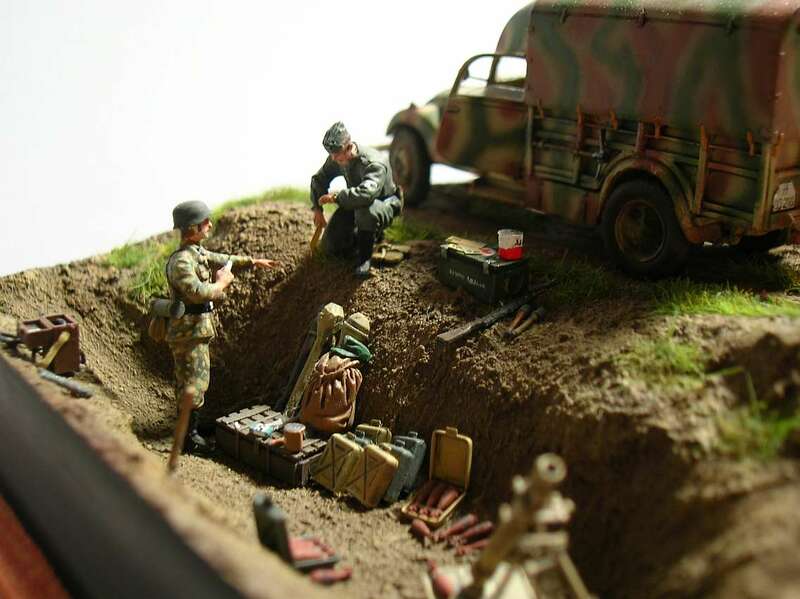 This is located at Merkers mine in Germany, 1945, here the nazi's hidden a lot of money and gold at the end of the war. 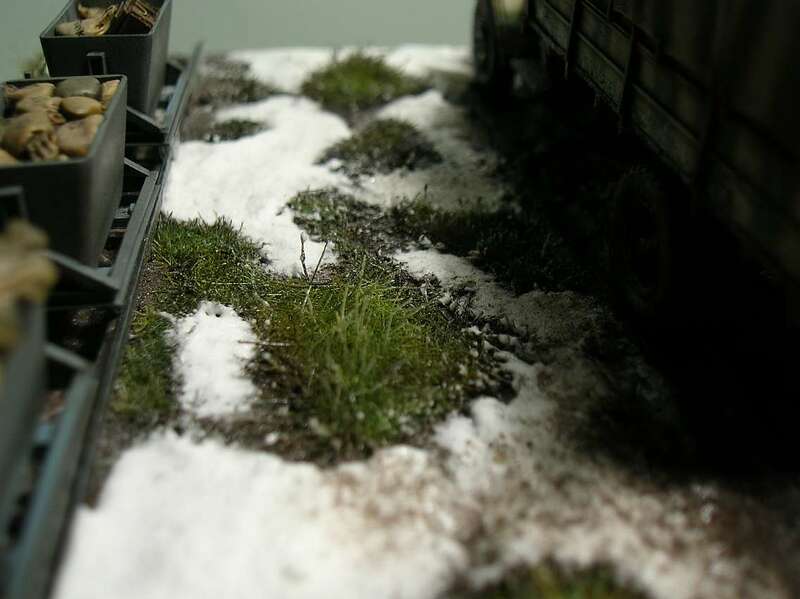 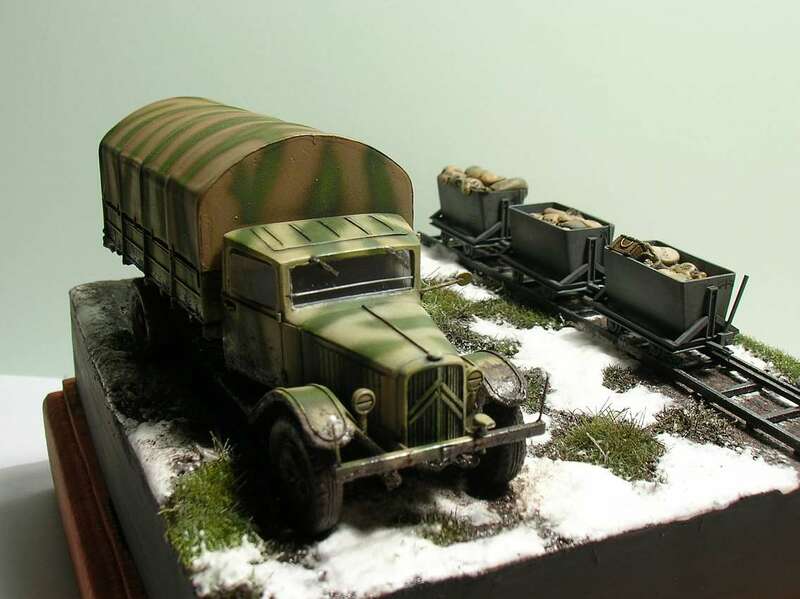 The mine wagons are scratchbuilt. 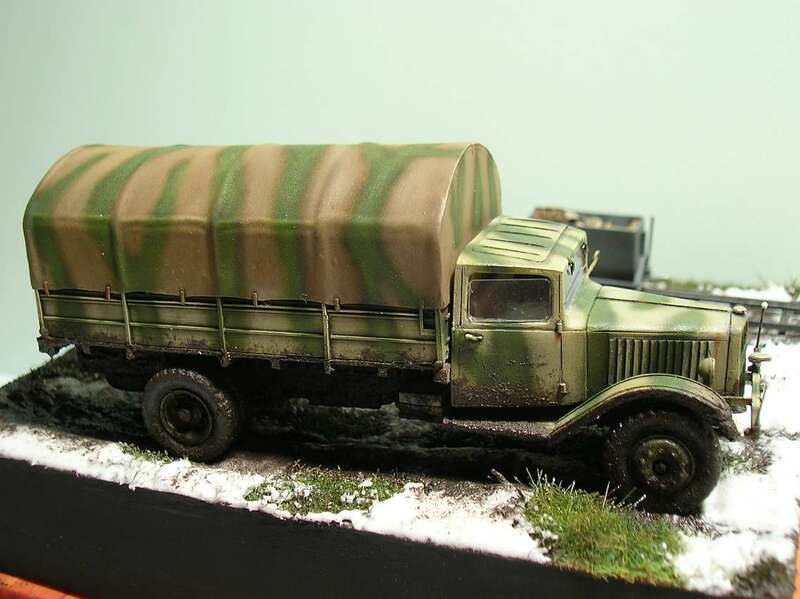 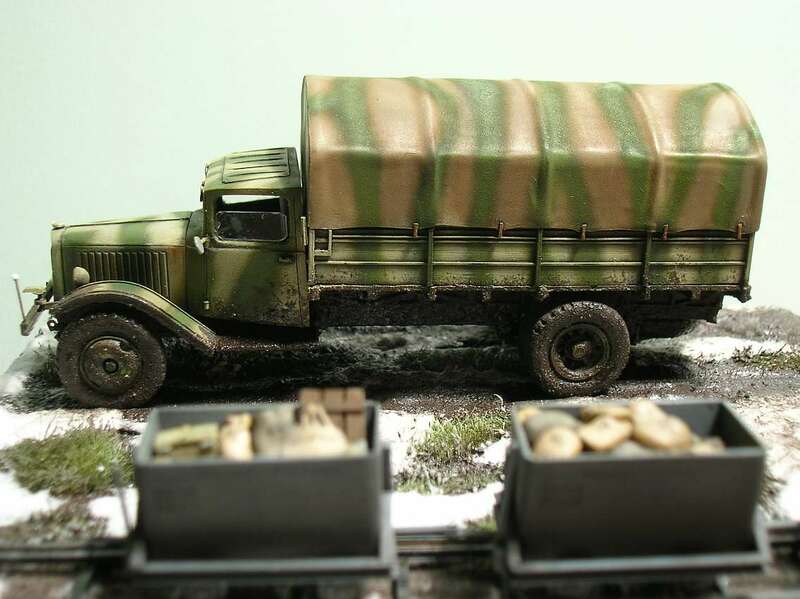 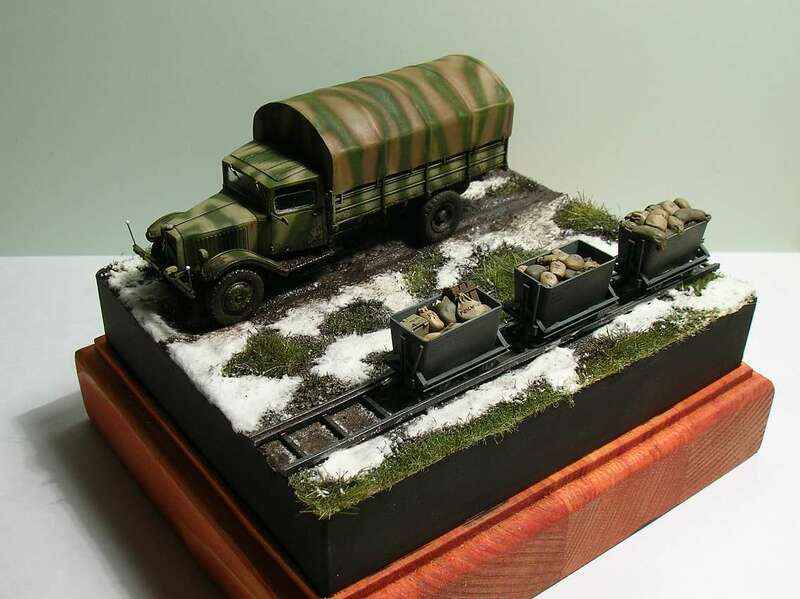 The truck (an Alby kit) is a good kit, with great details and very few defects. 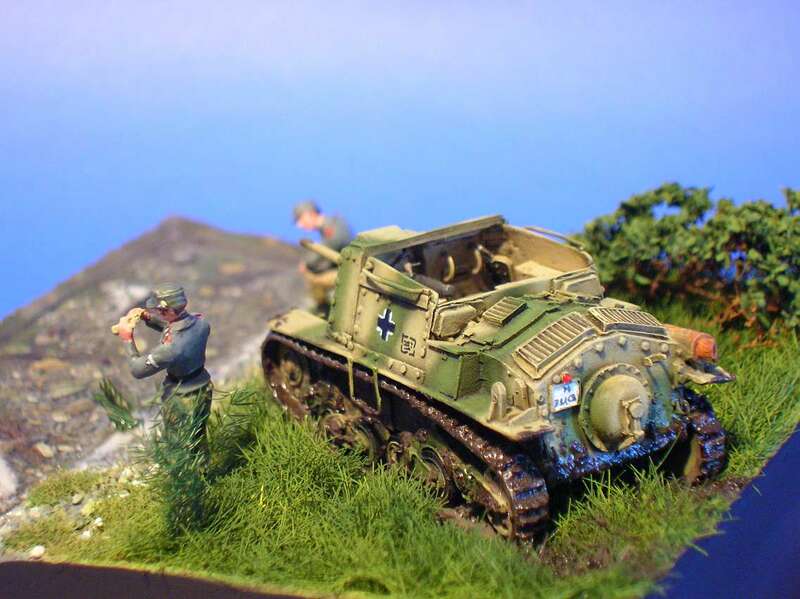 This Italian "Stug" in german service is from AP MODELS, a little italian model company. 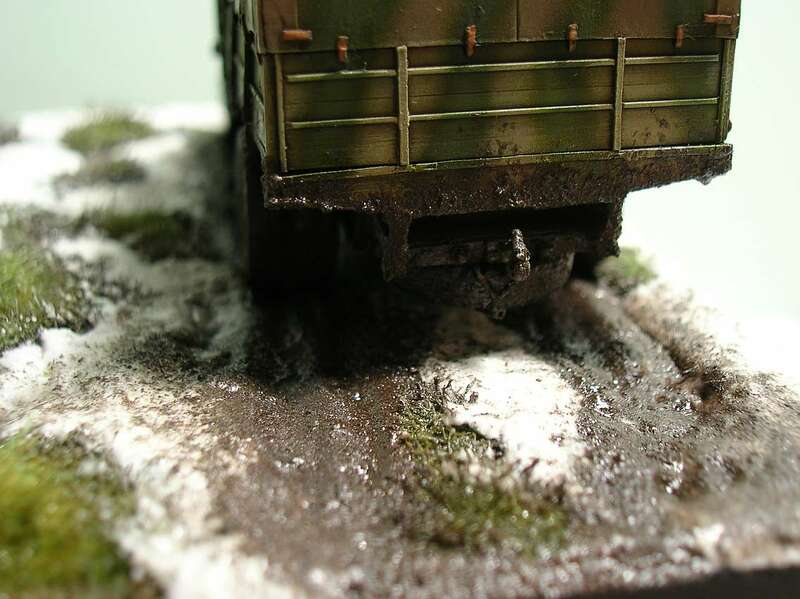 The kit is in resin and photoechted; it is a good base to build a good kit, some rivets missing, I make all the rivets with a punch and die. 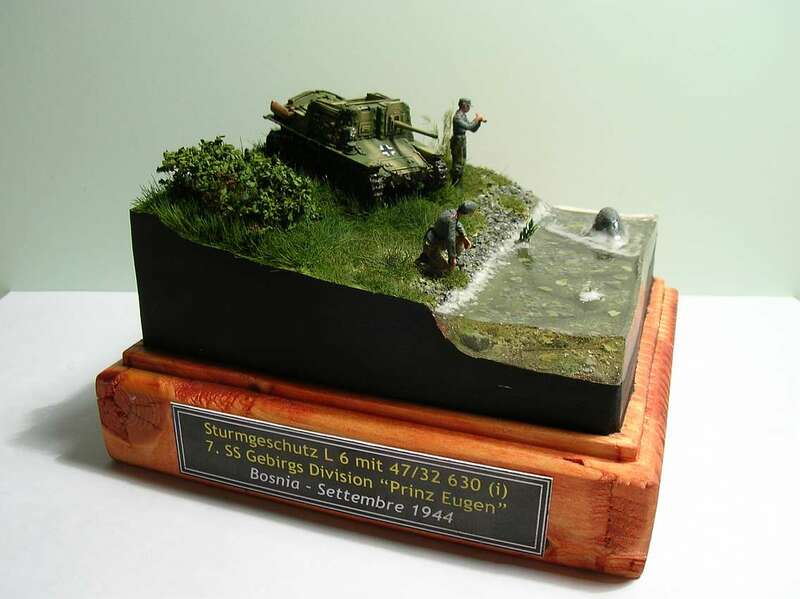 This stug was in Jugoslavia, in 1944 with the 7th SS division Prinz Eugen. 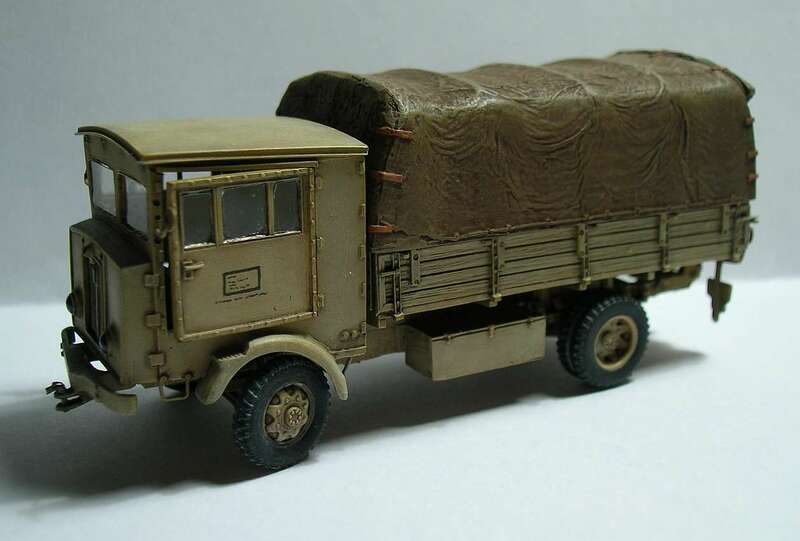 This is a Fiat 1100 Einheits, an Italiankits model... a masterpiece, simply to build and precise, from a master of Alex Giersch.. 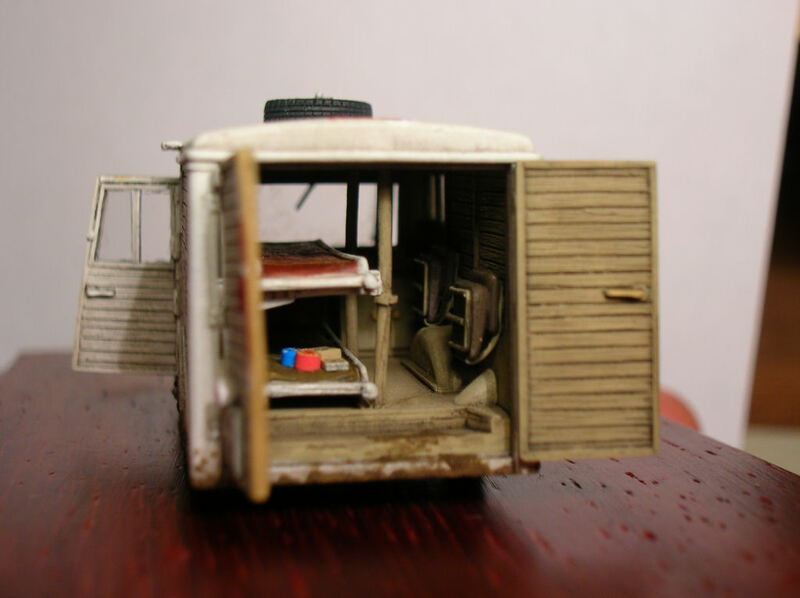 I add only some little detail like boxes and cigarettes... 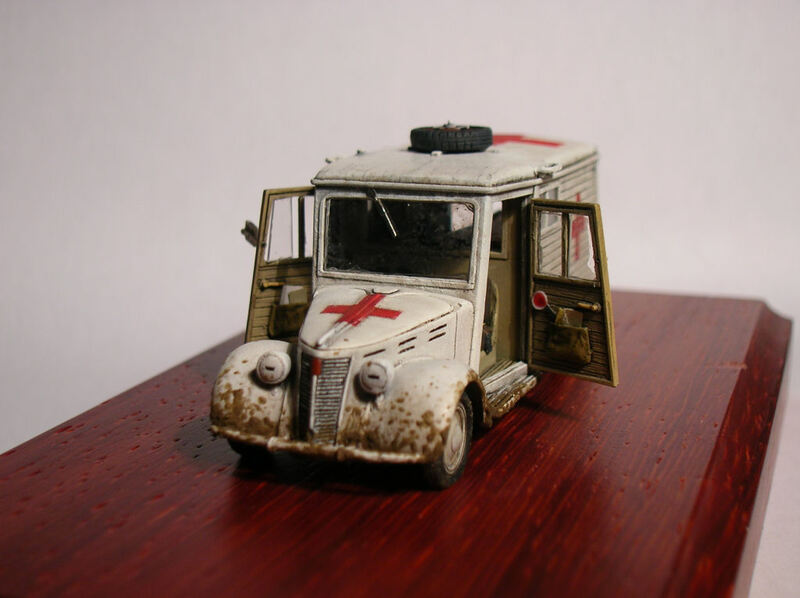 The 1100 is build OOB.